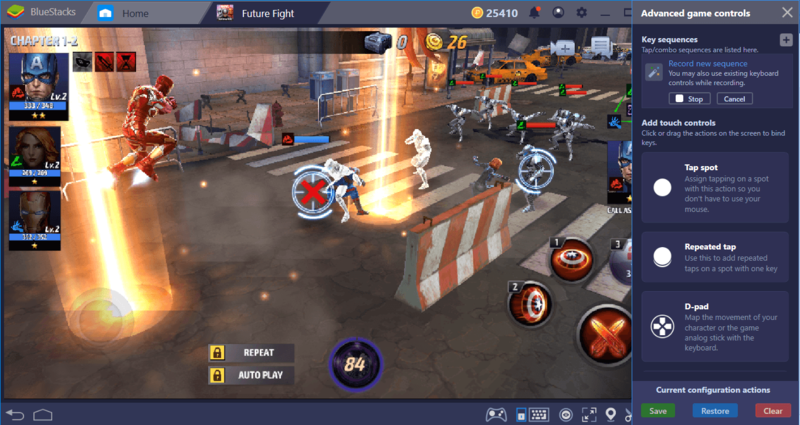 More than a hundred superheroes to collect, and a universe that needs to be saved: Marvel Future Fight plays big and proud of it. 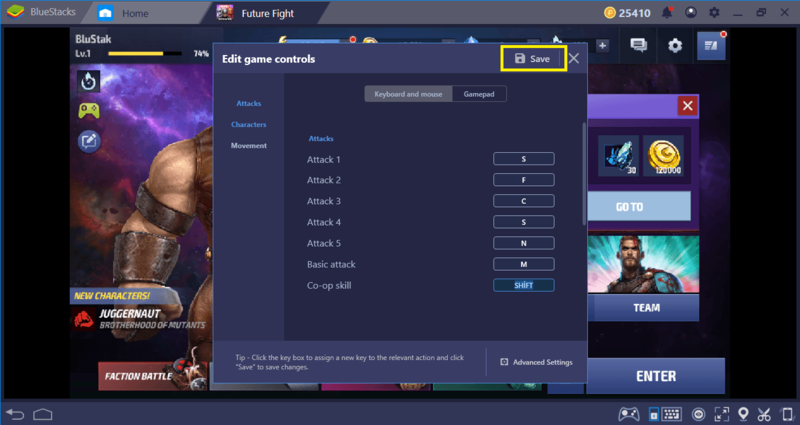 But before saving the universe by beating your enemies like a true hero, you need to install and configure the game on BlueStacks. Moreover, we are offering you lots of advantages when it comes to being effective in arenas: You can use a gamepad to control your characters, create combos to make the skills more effective, and play on a much higher resolution to see all those shiny effects. 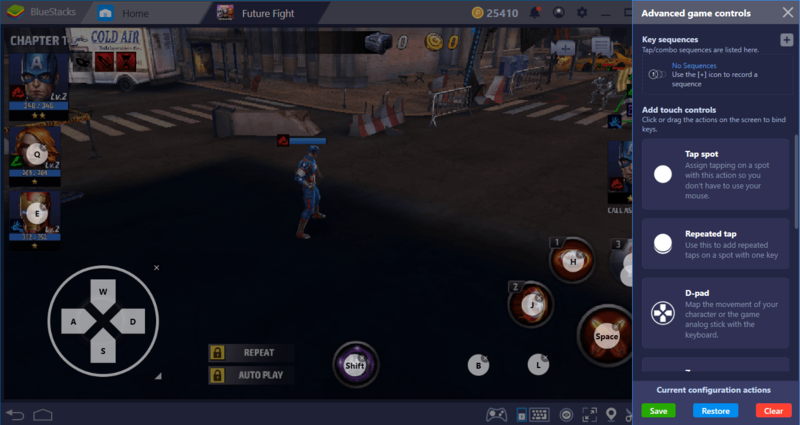 Let’s start our adventure and tell you how to setup Marvel Future Fight on BlueStacks. The only thing you need to do is download the game actually, BlueStacks will take care of the installation part. Type the name of the game in the search box that is located at the upper right corner of the main interface and press “Enter”. 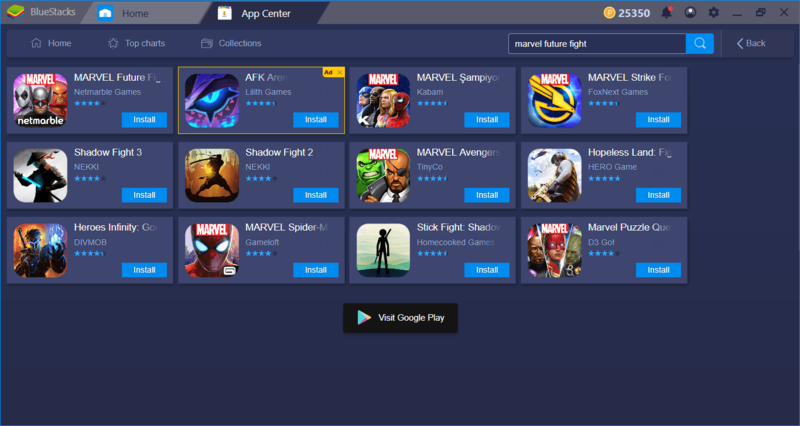 BlueStacks App Center will display multiple results. 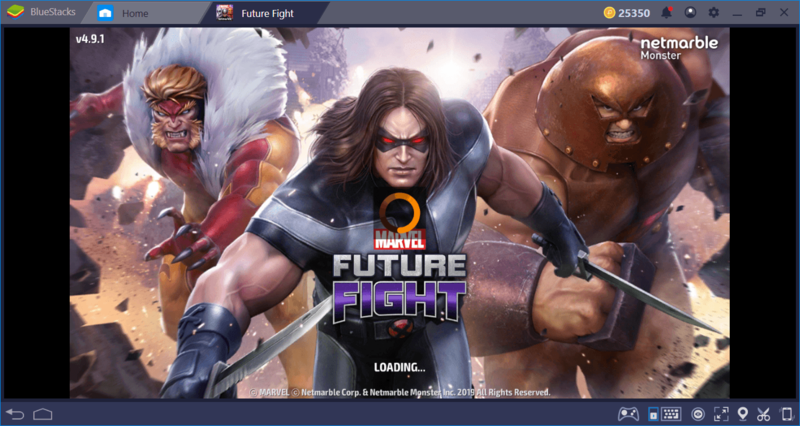 Pick “Marvel Future Fight” and click on “Install” button. The game is only 80 MB in size, so this will be a pretty quick download. 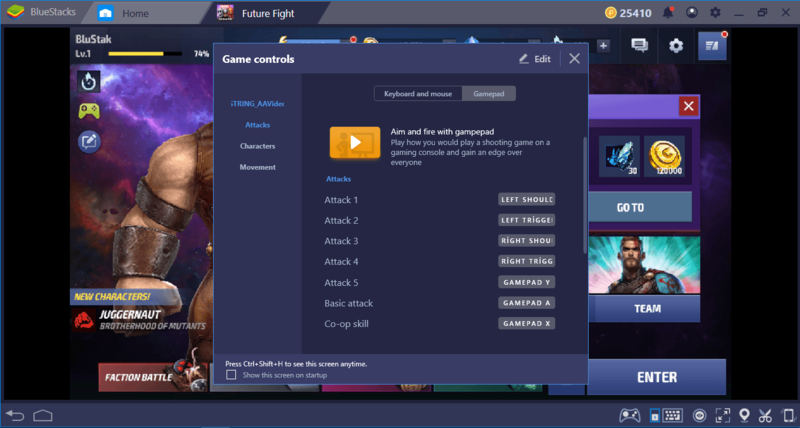 Once it is completed, BlueStacks will install the game and inform you when it is ready to play: Click on the game icon and start your… Well, you need to download an additional 800 MB data too, but after that, you can start your adventure. These are the default controls. Press “edit” to change them and assign any key to any function. After changing the default keys, don’t forget to click on the “save” button. If you own a gamepad, you can customize its buttons too. But changing the default keys is not the only thing you can do: By using our advanced keymap tool, you can create a visual interface, put additional tap spots anywhere on the screen, and truly personalize the controls. Once again, open the default controls menu and click on “Advanced Settings” button this time. We have created tap spots on top of skill buttons and assigned keys to each of them. Now, we can press these keys to activate the appropriate skills too. All of your heroes have multiple skills and by using them in the correct order, you can create a combo and make them more effective. In addition, as you already know because you read our other Marvel Future Fight guides, you can switch between heroes in your team and call them for “backup”. Now, finding the correct combo and best hero pairings may be difficult in the heat of the battle. 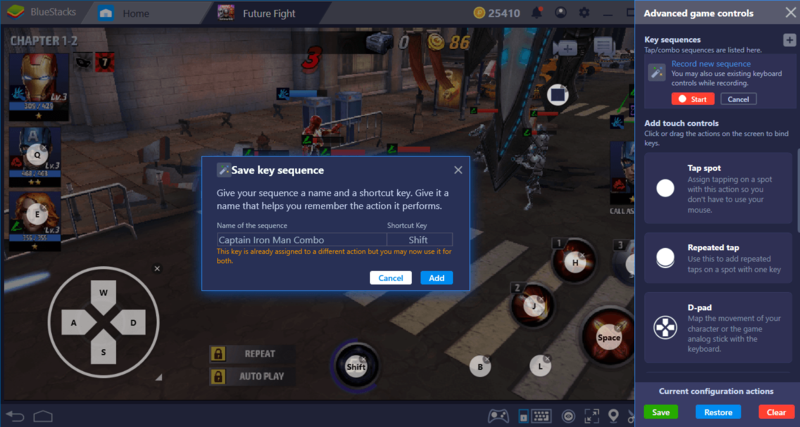 Luckily, you need to do this only once: You can record the perfect combo with our Combo Key tool, assign a key to it, and repeat the same action chain multiple times in the future. No need to memorize skill explanations or hero pairings: Combo Key allows you to bring your best to the battlefield every time. Let’s start recording and use our skills in order. After that, we will call Iron Man for backup. All of these are “action chains” which can be included in our recording and we can add as many chains as possible. Stop the recording, give it a name, and assign a key. Now, you can repeat all the action chains in this combo by clicking the assigned key only once. Your heroes will repeat your previous actions and beat the enemies in the most efficient way. Hooray! 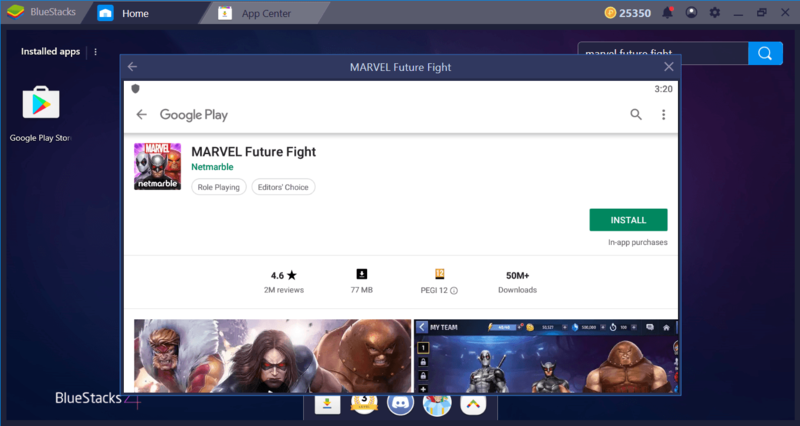 Well, we believe that you are ready to save the universe now: BlueStacks will always be at your side, ready to help you. 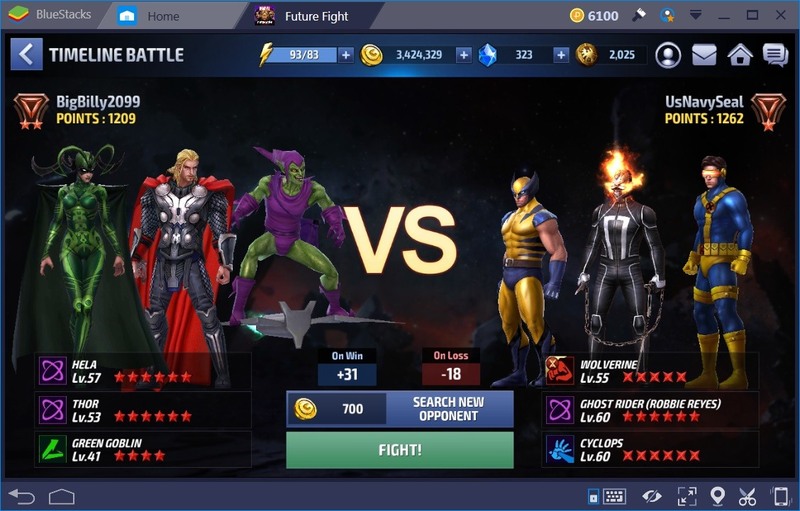 Speaking of help, we have prepared lots of other Marvel Future Fight articles too, so don’t forget to take a look at them. Without further ado, let’s start crashing our enemies: This universe won’t save itself!